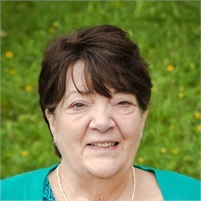 Patty has been with Weinberg Financial Group since 2000 and is the Office Manager for the Jamestown NY office. She has financial service experience in banking where she was a bank Branch Manager for many years and previously worked in the insurance and property casualty arena. Patty is a member of the Lakewood Rod and Gun Club, Auxiliary Past President, and current member of Jamestown Area Rotary Club. She brings great experience which she has been asked to share at numerous industry conferences and meetings.